My grandfather Glen Roy Johnson (whom I’ve written about several times before) entered the Army Signal Corps on February 5, 1918 during WWI. My grandparents had been married not quite 14 months and had a son who had been born in mid-December 1917. 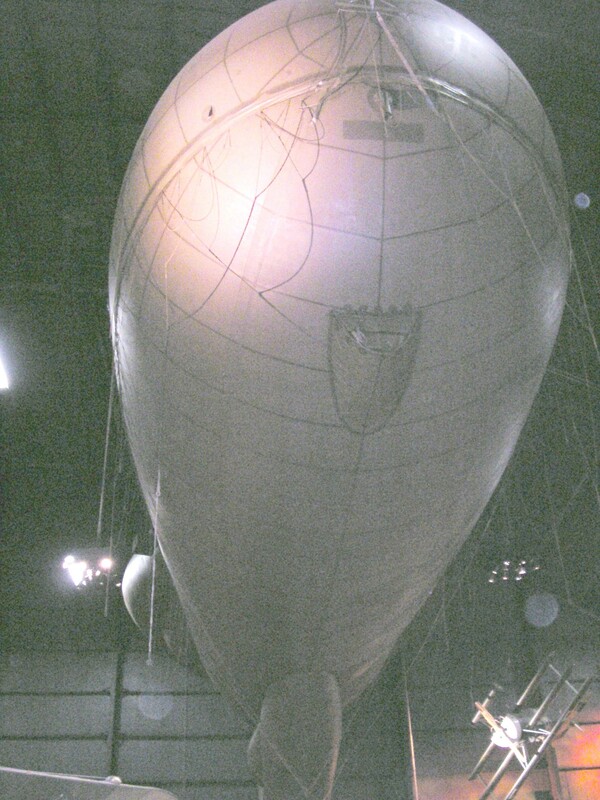 He went to basic training at Kelly Field in San Antonio, Texas before being assigned to the 14th Balloon company with training at Fort Omaha, Nebraska. During training, one of the balloons exploded killing two and injuring over 30. Either then or at another time during training, my grandfather’s hand became injured resulting in a permanent curve to two of his fingers. After returning from France and being discharged as a private, Granddad won a reserve commission while he was a civilian worker. It was to the Quartermaster Corps. At the time he was living in Greene county, Ohio in a town called Fairfield which would eventually become Fairborn (along with the merge of neighboring town Osborn). In 1942 he re-entered active duty in the Army Air Corps which would become the United States Air Force. He retired on December 1, 1958 as a Colonel. 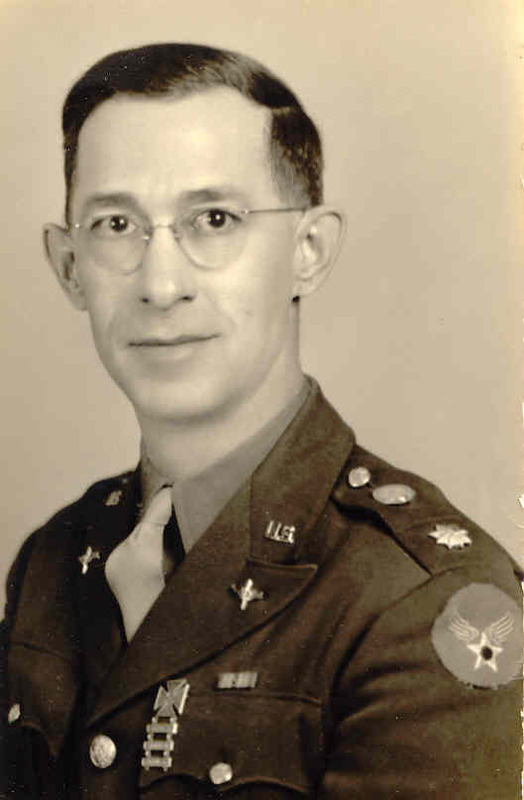 My father, Eugene (Gene) Amore enlisted in the United States Army Air Corps on November 16, 1939. He went to Iceland in August 1942 where he was stationed for 15 months as an airplane mechanic with the air transport command. After he returned and following the marriage of my parents in December 1943, my Dad was stationed in Great Falls, Montana for awhile. 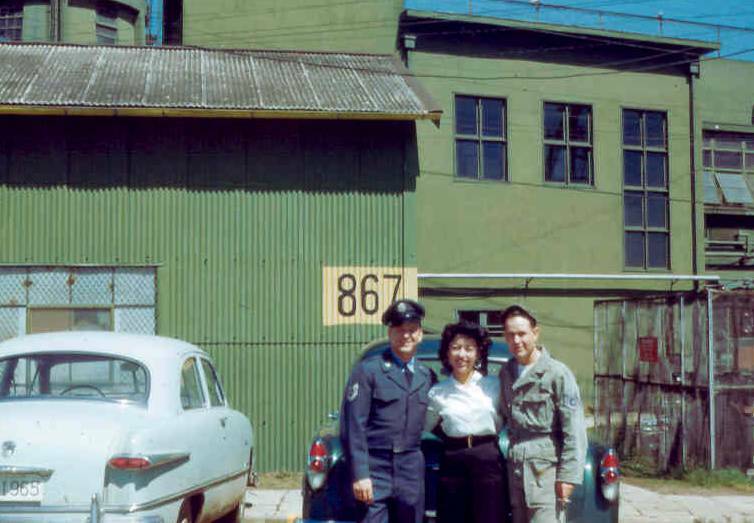 In early 1953, he was sent to Tachikawa Air Base in Japan. My mom, brother and sister followed several months later. Most of the 1950s saw my family living in Japan through two tours of duty. He retired from the US Air Force in 1960. After returning to the Dayton area, my dad worked Transporation in Civil Service. During the Air Force museum’s move from a building off Broad Street in Fairborn, Ohio just inside the gates of Wright-Patterson Air Force Base, my dad was responsible for the transportation of all of the aircraft, etc. to their new home located off of Springfield Street in Dayton – the present location. I am very proud and thankful for my Granddad’s and my Dad’s service to the United States and the Air Force. The Air Force is in my blood. Each time I wander through the Museum filled with aircraft, artifacts, and history, I get goosebumps knowing that my family played a part in all of that. Today’s tip was to explore the Digital Public Library of America website. Amy said that searches on it are a bit like Google. The DPLA has a bit of everything and some items do not even pop up from a regular search engine. So I thought I would give it a whirl to see what else I could find concerning my ancestors in Coshocton county, Ohio. Here is where Bright Shiny Objects happen so I knew I would need to be focused on what I was searching for (Day 1’s tip was to be more specific and asking the right questions). As the search results for “Coshocton county Ohio” appeared, I noticed off to the side was “History of Muskingum County, Ohio.” Hmm, I thought. New focus and new question. Would that digital book have any new information concerning my 3rd great-grandfather, Abel Lewis? So I clicked on that topic, the digital book appeared, and in the “search this text” box I entered Lewis. Another entry mentioned exactly where Abel Lewis lived after he had completed his term as Postmaster (he also had been an Ohio Supreme Court Clerk and surveyor) in 1812. In the past, I have just glossed over items at the DPLA because I wasn’t thinking about searching for things. I was searching for names. The tip for today has really opened my eyes. I see many hours of more research in the DPLA ahead for me! 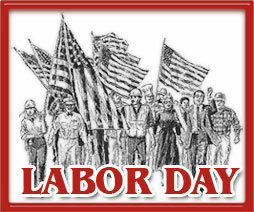 As a child, Labor Day meant that school was right around the corner, as was Halloween, sweater weather, and hot chocolate. It was a day for one last cookout of the summer; one last day in the pool before the weather turned; one last bike ride in shorts and T-shirt; and one last night of children running through the backyards catching lightning bugs. As an adult, the holiday has meant a three day weekend and a day to sleep in. Today, I am honoring the holiday with photos of ancestors at work or their places of business. 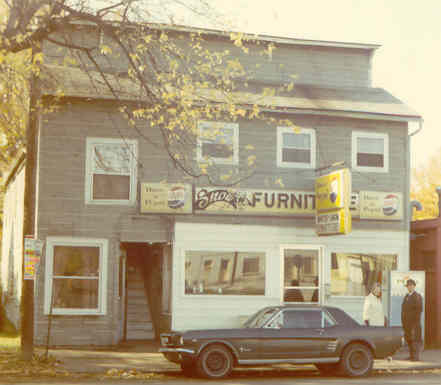 This is the store my maternal grandmother’s stepfather ran in Anderson, Indiana. My maternal grandfather, Glen R. Johnson, in uniform. One of the many pictures I have during his career in the U.S. Air Force. Lisa Alzo of The Accidental Genealogist has listed blogging prompts for each day of March to celebrate Women’s History Month. The blog prompt for March 12 – Working girl: Did your mother or grandmother work outside the home? What did she do? Describe her occupation. My maternal grandmother, Vesta Wilt, helped out in the store owned by her step-father, William Frank Clawson, prior to her marriage. The Clawson’s store was located in Anderson, Indiana. That is about the only job outside of the home she ever had. Vesta was better known for being an excellent homemaker and making so many of her family and friends feel welcome in the homes she shared with her husband, my grandfather, Glen R. Johnson. He always held a position of importance in the military so my grandmother was always prepared to entertain other officers. 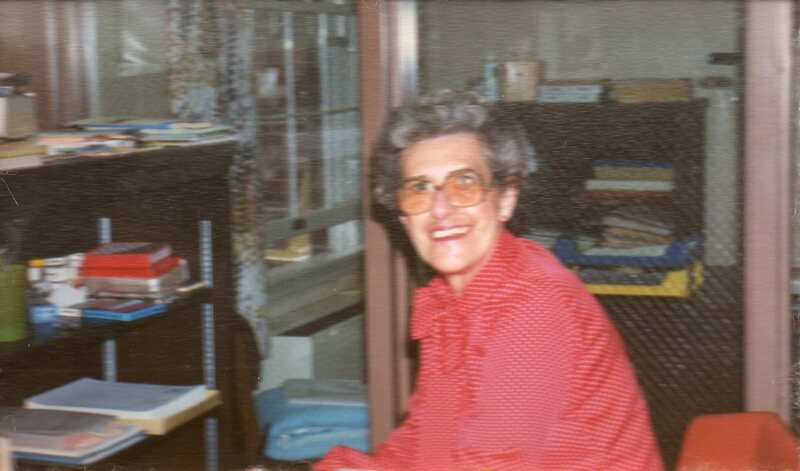 My paternal grandmother, Ella (House) Amore, worked in the Coshocton Glove factory. I don’t know if it was before she was married or after she was married with children. 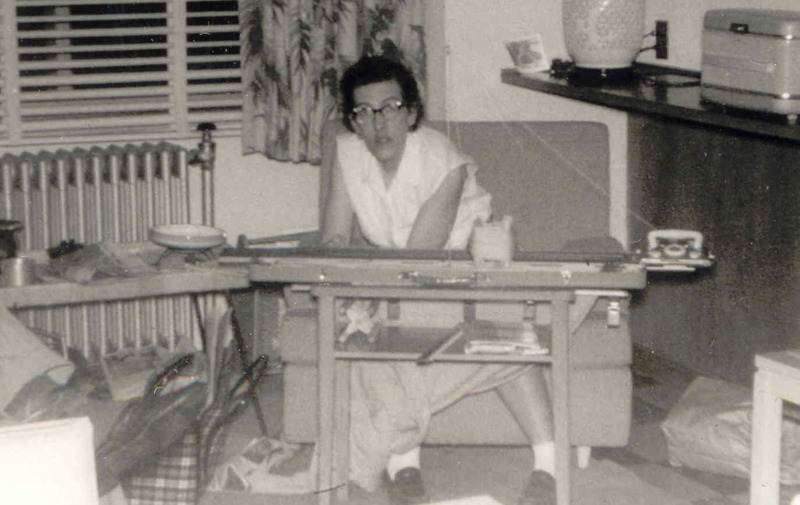 Mom spent more time working outside of the home than she did as a full time homemaker. She worked as a bookkeeper, a seamstress, a grant writer, a secretary, and in accounting. She didn’t complete her working “life” until 2003 – at the age of 81. With only a high school education, Mom was very fortunate to obtain some of the positions that she had. As a small child, I was lucky that she was a stay at home mom for awhile. When she did re-enter the workforce, it was as a seamstress for a drapery manufacturer. Then a few years later, she went to work for Apple Manufacturing in downtown Dayton. They worked on contracts for the U.S. Army making cargo covers among other items. It was heavy, dirty work and she didn’t get much more than what the law allowed for minimum wage. Very rarely did she have to miss work due to illness because if she had, she would not have gotten paid. She didn’t have much in common with the people she worked with. Yet she was there for almost 10 years before the government contracts stopped and the plant closed its doors. She painstakingly sent out feelers and resumes and stayed employed. Not only was she a professional seamstress out in the workforce, but Mom was a professional home seamstress. She was very good and for awhile when I was in elementary and middle school, she had regular clients who came to our home. She mainly did alterations but ocassionally would sew clothes – even our neighbor’s wedding dress. She had a knitting machine (see picture above) and took classes on how to be an instructor. Dad and I would drive her to other lady’s homes so she could teach others how to use the machine. Now that knitting machine is mine. When I volunteered to be a leader for two of my daughters’ troops, all I had to do was fill out an application form and commit to attending the Service Unit meetings (once a month) and hold regularly scheduled Troop meetings. In order to participate in field events, I needed to have one other adult (preferably a co-leader or a parent) with me and have completed a CPR/First Aid Course. Toward the end of my “leader” days, Girl Scouts were also requiring background checks. I was a Girl Scout Leader for my oldest daughter from her 3rd grade year until she was in high school. I was a Leader for my youngest daughter through her Kindergarten year through her 4th grade year (the two overlapped!). As a member of Girl Scouts, I only participated through two years of Brownies and six weeks of “Girl Scouts” (the term then for when a girl “flew up” to the real scouting program). History of Girl Scouting: Organized on March 12, 1912 by Juliette Gordon Lowe. She had met Lord Baden-Powell while in England and became interested in the “new movement” of Girl Guides and Boy Scouts. My grandfather was a member of the Boy Scouts as a Scoutmaster and received the Silver Beaver Award. Today, adult volunteers must submit an application, attend required Youth Protection training, and follow the Boy Scout Law and Oath. Women were once only allowed to be “Den Mothers” but today can hold any Cub Scout Leadership position. Girls are allowed to participate in the Venturing and Explorer programs however the Eagle Scout badge is only for males. History of BSA: Founded in England in 1907 by Robert Baden-Powell and incorporated in America by W.D. Boyce on February 8, 1910. The Silver Beaver Award is an award for distinguished service that is given by the Council. My grandparents were members of the White Shrine of Jerusalem for several years. This is not a “racial” organization – the “white” refers to the purity of Christ. Membership is for women who have been active members of Rainbow Girls or Job’s Daughters for at least three years and have attained the age of 18. Women who are related to a Master Mason are also eligible to join. It’s purpose is Fraternal, Charitable, and Spiritual. To join this organization obtain a petition from someone and complete the necessary information and submit with an initiation fee. After confirming a Masonic affiliation, a vote is taken and a potential member will receive the results and a date for initiation. My grandfather was a member of Michael L. Finnell Lodge #711 located in the 8th District of Ohio of Free and Accepted Masons. He reached the 33rd Degree many years before he passed away. To become a member of the F&AM, one must contact the secretary for the nearest lodge and schedule a time to be visited by two members of the lodge who would recommend you for membership. Qualifications include: a resident of the state for specified period of time, be at least 19 years of age, believe in a Supreme Being, live a moral life, not an advocate of government overthrow, and read and write English. History: Freemasonry was founded in 1717 in Londong, England and is a fraternal organization. The traditions are founded in the building of the temple of King Solomon and the ceremonies use the tools of stonemasons that symbolize truth and moral lessons. My grandfather was a past commander of the Dignam-Whitmore American Legion post 526 which is located in Greene County, Ohio. Anyone on active duty or has served in an eligible war era (WWI, WWII, Korean War, Viet Nam War, Grenada, Lebanon, Panama, Gulf War – 1990 to present) is eligible to become a Legionaire. The American Legion Auxilliary is for women who are related (spouse, daughter, mother, sister, grandmother, granddaughter, great-granddaughter, etc.) of an American Legion member or deceased member. Sons of the American Legion are for those male descendents of an American Legion member. 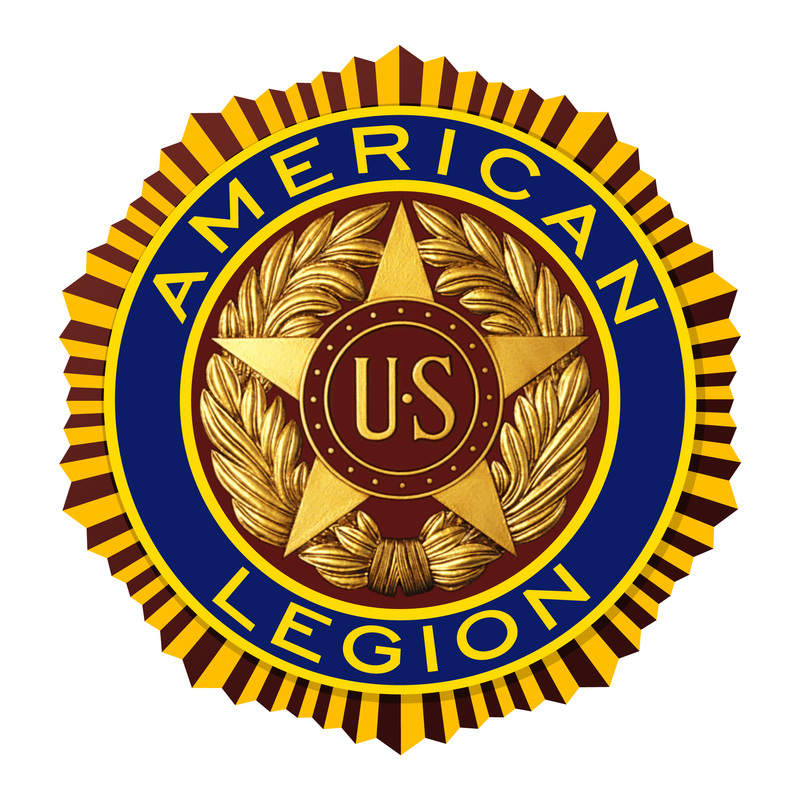 History: The American Legion was founded by WWI veterans in 1919 in order to assist disabled veterans and their families. They also helped maintain a strong defense. One achievement for the American Legion has been the GI Bill of 1944 that helped WWII veterans. They have fought to increase health care for veterans and were instrumental in getting compensation for victims of Agent Orange, undiagnosed Gulf War illnesses and much more. My grandfather was Past Worthy Patron (1957) of Aero Chapter, Order of the Eastern Star and my grandmother was a charter member of the same chapter, No. 536. My grandfather was honored upon his death by the Aero Chapter for his service of 30 years and 8 months. Membership is for men who are Masons and women with specific Masonic affiliation. Women are also eligible if they have been members in good standing for three years of Job’s Daughters or Rainbow Girls and have attained the age of 18. To become a member one must talk to a current member of the local chapter and submit a petition. It is not a secret society and members must believe in a Supreme Being. 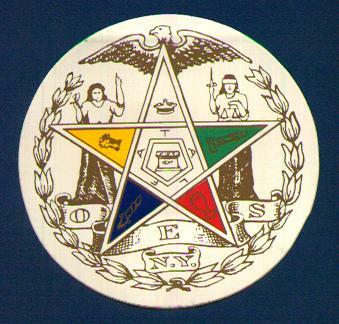 History: click here to read about the three different time periods of Order of the Eastern Star history. My grandfather, having been a federal employee for many years, was part of this organization and served two terms as regional Vice President. To become a member one must be an active federal employee or a retired/former federal employee. One of the perks my grandfather experienced happened on October 18, 1971 when he traveled with NARFE to the White House. He enjoyed a meeting with President Nixon and received a photo of the group. 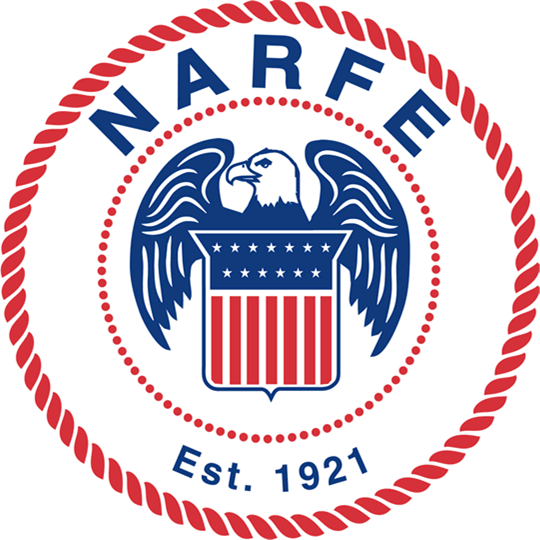 History: Formed in 1921, this association helps improve and safeguard earning rights and benefits of active and retired federal workers, their families and survivors. My grandfather was also a member of the Antioch Shrine Temple in Dayton, Ohio. One of the qualifications to becoming a Shriner was to be a Master Mason. This is a fraternal organization based on Masonic principles. The Shriners supports Shriners Hospitals for Children. History: The Shriners were organized out of a meeting in New York of several Master Masons which included physicans and actors. The first temple was organized in the New York City Masonic Hall on September 26, 1872. In 1888 there were 48 temples and over 7,000 members in the United States and Canada. The Shriners came to the aid of those victims of the 1889 Johnstown (Pennsylvania) flood. At the 1920 Imperial Session in Oregon, Freeland Kendrick of Philadelphia wanted to establish a Hospital for Crippled Children. The first hospital was in Louisiana. In 1996 the hospitals became the Shriners Hospitals for Children as they had updated their care to provide treatment for burns, spinal cords, neurological, cleft lip/palate and a multitude of others. The hospitals provide care at no cost to the patient or their families – only what is best for the child. Today there are about 400,000 Shriners in 191 temples all across the U.S., Canada, Mexico, and Central America. 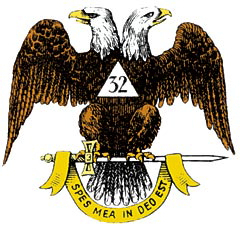 As a Master Mason, my grandfather also belonged to the High Twelve Club, Chapter 69 of Dayton. Members must be Master Masons however anyone can attend meetings. History: The first club was chartered by E.C. Wolcott on May 17, 1921. It is a group of Master Masons who support those Masonic causes that emphasis patriotic events and youth support. It is an association that is dedicated to the unity of Master Masons without the formal ritual of a lodge. The name came from the term “high twelve” for noon which is the time many clubs met. The Valley of Dayton is the chapter my grandfather had his membership. The Scottish Rite is open to all Master Masons in good standing. History: the first Scottish Rite Supreme Council was founded in 1801 in Charleston, South Carolina. The organization shares the same belief as other Masonic organizations that there is no degree higher than a Master Mason. Even though there were members of Scottish ancestry, the organization originated in France in the early 18th century. My grandfather was a member of Post 6861 located in Fairborn, Ohio. To be eligible one must have received a campaign medal for overseas service or served 30 consecutive or 60 non-consecutive days in Korea or received hostile fire or imminent danger pay. Members must also be U.S. citizens, currently in the military or have an honorable discharge and have served overseas. There is also an organization called VFW – She Serves that is exclusively for women who honors the sacrifce of female veterans who served overseas. As a WWI veteran, my grandfather was a member of this independent – by invitation only – organization with the long name of “La Societe des Quarante Hommes at Huit Chevaux” – but commonly referred to as “Forty and Eight”. Invitation is extended to honorably discharged veterans and those who are honorably serving in the United States Armed Forces. History: Founded in 1920 by American veterans returning from France, this organization’s aims are charitable and patriotic. The logo reflects the WWI origins as Americans were transported to the front lines by railroad cars that bore the stenciled numbers “40/8”. My grandfather was a member of Kittyhawk Chapter 70 in Ohio. Members are people who are engaged in the development of related areas of electronic warfare (military employees, civil service employees, scientists, educators, etc.). History: Organized in 1964 to exchange information on operational and technical parts of defense electronics and like fields. For more on the history please click here. Members are Reserve Officers in U.S. Armed Forces. History: General John Pershing formally established this association in 1922 after WWI. The second session of the 81st Congress enacted Public Law 595 – “An Act to Incorporate the Reserve Officers Association of the United States.” President Harry Truman signed the charter on June 30, 1950. This is open to all retired military officers, former military personnel, active duty professionals, business professionals, students, and business owners/managers. Since my grandfather retired from the U.S. Air Force as a Colonel, he was eligible for membership. History: Information about the RMOA mission can be found here. My grandfather was a charter member of the Aviation Hall of Fame. Members need only to pick what level of membership and send in the appropriate monetary amount. The National Aviation Hall of Fame is located at the U.S. Air Force Museum in Dayton, Ohio. History: Founded in Dayton, Ohio in 1962 and chartered by Congress in 1964. It is dedicated to preserving as well as promoting the legacy of those in America who are outstanding air and space pioneers. 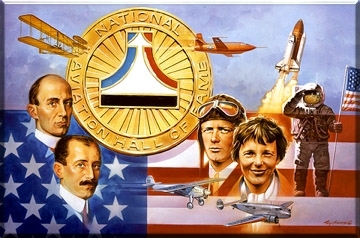 Past inductees have included: Jimmy Doolittle, Amelia Earhart, Charles Lindbergh, Wilbur and Orville Wright, Chuck Yeager, Neil Armstrong, Howard Hughes, and James Stewart. This is another organization that requires Masonic membership as well as honorable service (currently or in the past) as an Officer or Senior Non-Commissioned officer in the uniformed services. 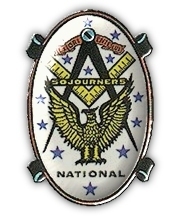 History of the sojourners can be found here. My uncle was a member of the “Cereal City” Lions Club in Battle Creek, Michigan. Members are invited to join and are made up of men and women who are service and community minded. In order to facilitate membership, one should locate the nearest club and contact that club to express interest in joining. My uncle was a past president, and a recipient of the Melvin Jones Fellowship Award. He also held several other titles in his local Lions Club. History: Began in 1917 by Melvin Jones, a Chicago businessman. It is the world’s largest service organization with more than 1 million members in 45,000 clubs internationally. 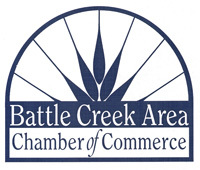 My uncle was a member of Battle Creek Chamber of Commerce. My uncle was a member of this Society. Those who seek to become members must fill out an application that requests professional information and pay the required dues. History: Founded in 1880, the ASME is a not for profit professional organization. Collaboration and knowledge sharing is enabled across all engineering disciplines. The society helps the worldwide community of engineering to develop real world solutions for challenges faced. As an avid golfer most of his life, when my uncle faced the challenge of being an amputee, he joined this association. Membership is open to anyone who has lost a hand or a foot at a major point (hip, wrist, elbow, knee, etc.). History: The NAGA was incorporated in 1954 and began with a small group of golfers who got together to play golf. Soon, the games turned into regional tournaments. Today there are over 2500 members globally. My uncle also enjoyed membership in this group. Members could be corporate (companies and institutions) or individual (defense professionals). History: In 1944 the NSIA was founded as the Navy Industrial Association as not-for-profit and non-political. It began as a way for government and industry (especially the defense industry) to have effective communication. When the Department of Defense was formed, the name of the association became the National Security Industrial Association. In 1997 the NSIA merged with the American Defense Preparedness Association to become the National Defense Industrial Association. This is the 4th and final article in this series on Military Records. You can read the first three in the series at Part 1, Part 2, and Part 3. These records can offer up quite a bit of information including your ancestors’ and collateral relatives’ vital statistics, birth date and location, residence at the time of registration, type of military service, campaigns they might have been involved in, next relative, occupation, address of their employer, identifying marks, their signature, and reason for infirmities if they applied for an Invalid Pension. In Part 3 I used my great-grandfather’s (James Emory House) Application for Invalid Pension as an example. I will continue with his papers to show who he served under, campaigns he took part in, and the reason he applied for this. My great-grandfather appeared before a clerk of the Common Pleas Court of Coshocton County, Ohio on September 6, 1887 to submit this Declaration for an Original Invalid Pension. In it he stated the date and place he enrolled to serve the Union and the State of Ohio in the Civil War and also what company and regiment in which he served. The document lists that James’ regiment was commanded by Col. E.R. (Ephraim) Eckley and mentions that my great-grandfather was honorably discharged at Washington D.C. The continuation of the document tells the location of the hospitals where he was treated: one in Tennessee and also in St. Louis. It also says that James did not have any other military service except serving for the Union. His occupation prior to and following military service was Farmer and that he was considered one half disabled. In a General Affidavit dated June 21, 1888, 63 year old S.M. Baldwin of Butler County, Iowa stated that he was James Emory House’s sargent and later his First Lieutenant and knew James personally while in the service of Company “H”, 80th Regiment of the Ohio Volunteers. (Further transcription) That while in line with his duty as a soldier near a place called “Corinth” in the State of Tennessee some time in the month of Apl 1862 he the claimant contracted a trouble in his stomach and was sent to Hospital at St. Louis and after his return to the company it appeared that he could bear but little fatigue and was constantly complaining of trouble in his stomach. The above paragraph gives me an approximate time and place that my great-grandfather’s illness began and that it was so severe he actually had to be hospitalized. I also learned who his immediate superior was by this General Affidavit. In another affidavit, given by William Derr who personally knew James House, the affiant stated that my great-grandfather contracted the catarrh of the stomach about April 30, 1862 and was sent to a hospital in Tennessee for about 10 days and then to a St. Louis hospital. He returned to duty in July 1862 which indicates that the hospitalization lasted about 3 months. Respectfully returned to the Adjutant General, War Department for a full military history and a personal description with age at enlistment. Age at reenlistment 21 years. The revocation of the muster out to reenlist as veteran and muster in as veteran is canceled, he was a veteran volunteer from Feb. 21, 1864 when reenlisted as such. The military records furnish nothing in addition to that shown in former statements. This application stated that James required attendance by another person because of his disabilities that included: totally blind in right eye, bronchial asthma, chronic indigestion, prostatic trouble, kidney trouble, rheumatism, weak and emaciated. Furthermore, it stated that since leaving the service he had lived in Coshocton County, Ohio and the State Soldiers Home of Ohio (Erie County), and he had been unable to work. And the final page in the file is dated October 1924. Above is the drop report stating that James House, who had received $72 a month with the last payment sent in August 1924, had been dropped from the roll due to his death which ocurred on Oct. 1, 1924. From all of the information contained in James House’s pension file, I can conclude that he never did return to full health after being afflicted with catarrh during his service in the Civil War and that even though he had been able to work as a farmer after he was discharged, he couldn’t work full time and earn enough to live on. I believe that as he aged the disease and other disabilities weakened him. The overall picture of my great-grandfather’s life became much clearer after reading through this file as I could put dates to events in his life. I urge you to see what kind of picture you can get of your ancestors and collateral relatives with the aid of their military files (if they have any) in order to “flesh” out the person or persons you are looking for. I hope this four part series has given you more avenues to look when doing research and inspired you to see what other stones can be turned over in order to document events in your ancestors’ lives.